CPCC students, there is a new way to search, view and apply for institutional scholarships at CPCC. Go to https://cpcc.academicworks.com/users/sign_in to submit one application for all CPCC Scholarships. CPCC students can use their CPCC Login to access this new scholarship website. Are you planning to participate in this year’s graduation ceremony? If so, your graduation application must be received in the Graduation Office no later than March 2 to ensure processing. If you are eligible for graduation, your name will be printed in the Ceremony Program. Applications received after March 2 may still be processed, however, your name will not appear in the program. If you have not yet submitted your application, please apply on line through your MyCollege account. Under “Academic Profile” select “Graduation Application” and provide the requested information. Once you click on “submit”, the application will go directly to the Graduation Office for processing. Remember, we must have your application in the Graduation Office no later than March 2 to ensure processing for the May 10 Graduation Ceremony. Your GPA is 2.00 or above. Once you have registered for your final class(es), you are to bring a copy of your schedule to the Graduation Office. 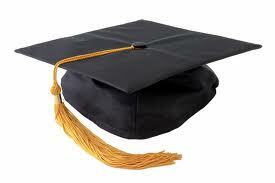 At that time, the Graduation Analyst will review your record and grant permission for you to march in the ceremony. Please note: The names of Summer 2012 graduates will appear in the Spring 2013 Ceremony Program only.